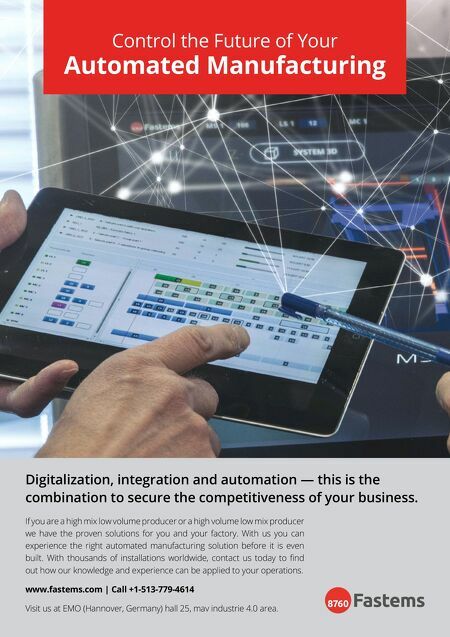 Control the Future of Your Automated Manufacturing Digitalization, integration and automation — this is the combination to secure the competitiveness of your business. If you are a high mix low volume producer or a high volume low mix producer we have the proven solutions for you and your factory. 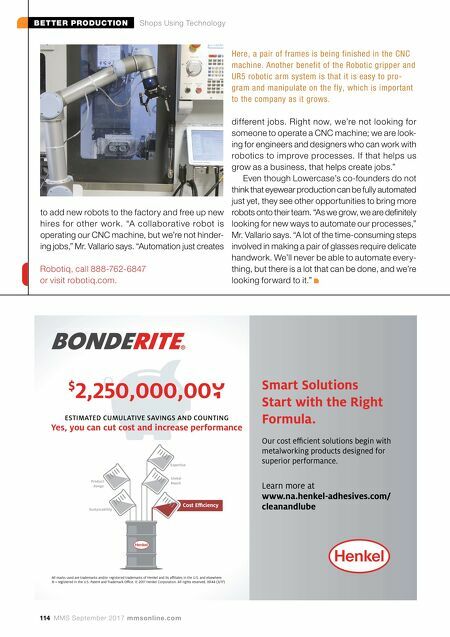 With us you can experience the right automated manufacturing solution before it is even built. With thousands of installations worldwide, contact us today to find out how our knowledge and experience can be applied to your operations. www.fastems.com | Call +1-513-779-4614 Visit us at EMO (Hannover, Germany) hall 25, mav industrie 4.0 area.